That's all from us for another week, we'll be back on Monday morning, bright and early at 06:00 BST with more of the county's news, sport, travel and weather. If you'd like to get hold of us in the meantime, you can do via Twitter, Facebook or by sending us an email. Thanks for joining us, and have a lovely weekend. 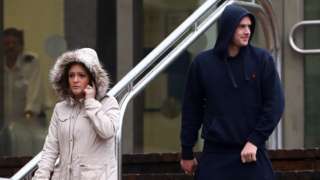 Helen Whately said there had been moments when she had "felt under threat"
The doctor who tried to save Eli Cox said his mother's explanations for his injuries did not make sense. A21 Kent southbound severe disruption, between A26 London Road and Henwood Green Road. A21 Kent - A21 Tonbridge By-Pass closed southbound between Southborough Turn Off in Tonbridge and Pembury Turn Off in Kipping's Cross. Diversion in operation - via the A26, A2014, A26 and the A22. How will farmers cope with Brexit? Farmers are showing off their wares at the Kent County Show this weekend, and Brexit is on their minds. Video caption: Farmers at the Kent County Show are worried about the possible impact of Brexit.Farmers at the Kent County Show are worried about the possible impact of Brexit. 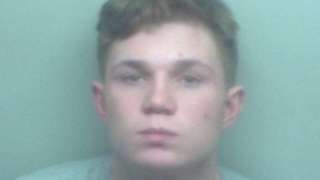 A teenager who mowed down a traffic warden and later killed a pensioner is jailed. The stifling heat's abating over the weekend. 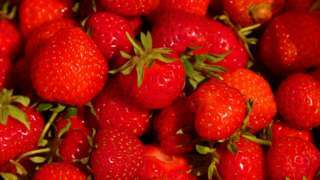 Police revised an earlier statement now saying the strawberries pose no health risk. A collection of 2,500 rare coins has been stolen during a burglary in Maidstone. The break-in was reported to have happened in Upper Fant Road between 14:30 - 19:00 BST on Monday. The collection is believed to be worth several thousand pounds. It includes a number of modern, but rare £2 and 50 pence pieces, as well as distinctive coins no longer on circulation. Jewellery, including a gold ring with diamonds, was also taken. Residents, second-hand dealers and jewellers are urgent to be vigilant and should contact Kent Police if they have been offered, or have seen, a collection for sale. 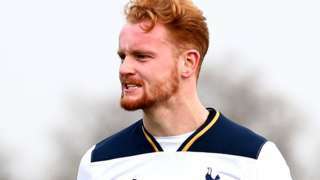 League One side Gillingham sign 21-year-old Tottenham Hotspur defender Connor Ogilvie on a six-month loan deal. The Conservative MP for Faversham and Mid Kent has revealed that she has received a death threat. 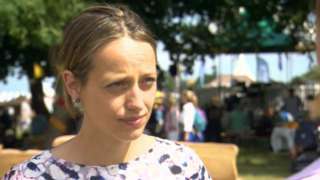 Helen Whately said there had been "moments when I've felt under threat". 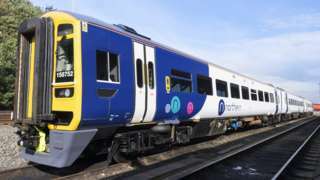 "I have had to complain to the police about some of the comments and particularly a death threat that I received," she told BBC South East. "Because of what happened to Jo Cox you do have to take threats seriously," the MP, who was elected in the 2015 general election, added. Ms Whately was speaking after it had been revealed that she had to pull out of opening a summer music festival at Sheldwich Primary School, in Faversham, because of threats posted on social media. "I was asked not to go because there'd been some unpleasant comments on Facebook, and particularly threats that some people were going to come along and, I think, throw eggs, and they didn't want a disturbance at the school. "I went along afterwards rather than at the beginning," she said. A2 Kent eastbound severe accident, near A2260 Southfleet Road affecting A2. A2 Kent - A2 Watling Street in Gravesend blocked, stationary traffic and long delays eastbound near Northfleet, because of an accident involving three cars and a motorbike. Congestion to Falconwood Interchange. The long-running dispute centres on concerns over driver-only-operated trains. M2 Kent westbound severe disruption, at J3 for A229 Chatham. M2 Kent - M2 lane closed on exit slip road to the roundabout above the carriageway London-bound at J3, A229 (Chatham), because of a broken down vehicle. Traffic is coping well. M20 Kent eastbound severe disruption, between M25 J3 and J2 for A20. M20 Kent - One lane closed on M20 eastbound between M25 J3, Swanley Interchange and J2, A20 (Wrotham Brands Hatch Circuit), because of a broken down vehicle. Traffic is coping well. 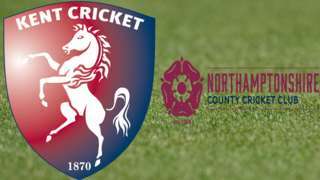 Listen to BBC local radio commentary and follow live text commentary as Kent face Northamptonshire in the County Championship. M20 Kent eastbound severe disruption, between J8 for A20 Leeds Castle and J9 for A20 Ashford. M20 Kent - One lane closed on M20 eastbound between J8, A20 (Leeds Castle) and J9, A20 (Ashford), because of a broken down vehicle. Traffic is coping well. But if you don't like the heat, the weekend's going to be a lot more comfortable. A four year collaboration between English Heritage and the University of Kent's School of Architecture, has led to the reconstruction of the ruined St Augustine's Abbey in Canterbury -- in virtual reality, at least. So what more do we know about the Abbey? Video caption: A four year collaboration has led to the reconstruction of St Augustine's in Canterbury.A four year collaboration has led to the reconstruction of St Augustine's in Canterbury. BBC Radio Kent's Erika North explains what it's like to have a hidden disability.